Samsung has allegedly increased the price of its mobile processors by 20 percent for just one company: Apple. Details on the price hike were published on Monday by Chosun Ilbo, via MarketWatch. The details come from an unnamed person allegedly familiar with negotiations between the two companies. The person indicated that Samsung asked for a "significant price raise" for building chips such as the A6 chip found in the iPhone 5 and the A6X processor that powers the fourth-generation iPad. Apple apparently balked at the terms of the deal at first, but eventually accepted the 20 percent price hike, as it could not find any other company to build its mobile processor. All of Apple's application processors for the iPhone, iPad and iPod touch are made by Samsung. The company produces the chips at its fabrication plant in Austin, Tex. Samsung is expected to build a total of 200 million chips for Apple this year. The companies have allegedly signed a long-term supply contract through 2014. Although though Samsung remains the sole supplier of Apple's custom chips found in the iPhone and iPad, the company has long been rumored to be pursuing a chipmaking partnership with Taiwan Semiconductor Manufacturing Co. One report from last month claimed that TSMC could begin building quad-core 20-nanometer chips for Apple as soon as late 2013. And in October it was said that Apple was getting "serious" about moving chip production away from Samsung. 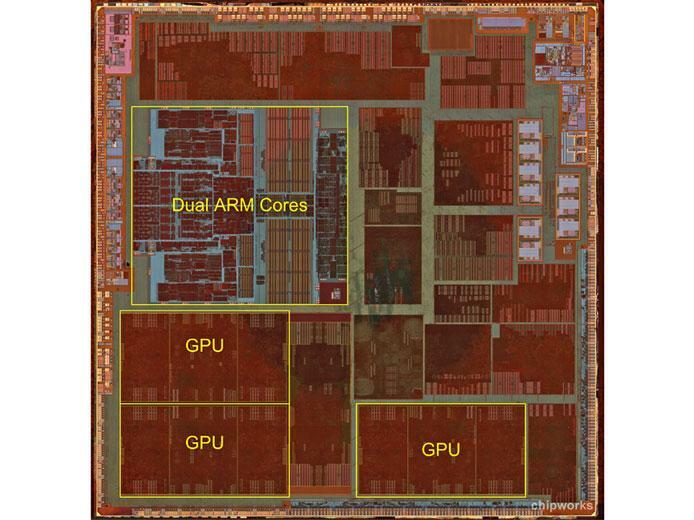 Around the same time, Apple also hired away former Samsung chip designer Jim Mergard, who also designed and developed chips for AMD for 16 years. Last week, one report claimed that Samsung was expecting to lose a portion of its future chip orders from Apple. It indicated that the Korean electronics company may put off construction of a new fabrication facility because of the expected decrease in orders.